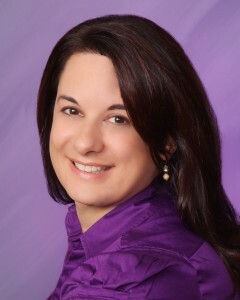 Jeanne DelColle is 2012 NJ STOY and a 2013 Hope Street Group National Teacher Fellow. A high school history teacher of 17 years, she is the 2012 NJ History Teacher of the Year and 2010 NJCH Humanities Teacher of the Year. She is currently working to bridge the gap between higher education and P-12 as the Instructional Development and Strategic Partnerships Specialist at Richard Stockton College. The biggest problem a teacher sees with our public education system —and what they think needs to be done to fix it? This summer, I have been to conferences around the country and I hear the same things from policy makers everywhere I go. Educator effectiveness is measured by student growth, observations and other data. States have jumped on the MET Project bandwagon and are moving full steam ahead with new observations and the use of student growth data, in part because of their acceptance of federal dollars from RTTT and ESEA waivers that require measures of student achievement to be included in teacher evaluations. Many of the new observation systems are far better than their binary counterparts of the past, that is, if the evaluators are well trained and provide good quality feedback for improvement. However, the jury is still out amongst teachers and many experts on the use of student growth data to determine teacher effectiveness. What makes a teacher effective? The definition of effective is a matter of semantics, but I believe part of the problem is that educators and policy makers don’t define the term the same way. When it comes to what makes an effective teacher, most educators will tell you there is an argument to be made beyond use of data that includes relationship building, the role of creativity, developing a classroom community, and the ability to build determination, grit, perseverance and a growth mindset. Teachers know that non-cognitive skills are as important, if not more important, than learning content. In fact, until these non-cognitive skills are addressed, students will not personalize the content and skills they need to succeed. Effectiveness means that educators need to have the ability to look at each individual in their class and figure out how they learn, the impact of culture and community on their development, and what role experience plays in their lives in order to help them think critically about the future. Building a bond of trust in a classroom is critical to success. How do your students learn? How do you learn? What music do your students listen to? What shows do they watch? Those outside the classroom may not think knowing this information is as important as sticking to the curriculum, but it creates common ground to start a conversation and build bonds of trust that are essential to success. Think back to the best teacher you ever had. Why did they leave such an impression? I am willing to bet that in helping you build your non-cognitive abilities and become a better person, you were able to personalize the information they taught. The difference here is between task and purpose. The task would be to learn content for the sake of passing a test, but the purpose would be to learn how content and connections to develop our students sense of humanity and apply what they know to helping solve larger issues in society. Effectiveness is not about a test score, it is about producing good citizens. What I have heard from policy makers in regard to effectiveness is that data speaks volumes, but passing a test does not mean that students will have what it takes to be successful in life. Having data also does not mean that people know how to use it. Most teachers I know have never had a course or professional development on interpreting data. The measures that policy makers believe will create a culture of success are too often external, top-down initiatives that do not take practitioner’s perspective into account when determining what works best in classrooms. Is it any wonder that practitioners often resist policies that they don’t understand or believe are not in the best interest of students? Many teachers are frustrated and want to help with some of the problems they see on a daily basis. Rather than pay lip service and agree that working with practitioners is a wonderful idea, policy makers need to not just hear, but listen. Real education reform will not happen until policy makers and institutes of higher education work with practitioners to implement instructional shifts that are teacher generated and teacher driven. When initiatives like Common Core are adopted by states, it is not enough for states to say CCSS implementation requires a shift in how we teach, they must listen to teachers and provide guidance on how those shifts will look in the classroom and the resources to make it happen. We must work with higher education to make sure our pre service teachers know how to teach CCSS before they start their clinical experience. We must work with schools to help teachers understand and embrace the shift. Where are the funds to provide additional non-fiction resources? Where is the professional development from reading coaches and research experts that we will need to help our students and teachers succeed? Where are the exemplars in all subject areas to show what effective CCSS implementation looks like in a classroom? What will have to be cut when states have to shell out money to one of the two testing consortia? In order for any reforms to succeed, we must work to bridge the gap that leaves policy makers, institutes of higher education and P-12 operating as isolated silos that don’t work together. We need to collaborate and build the bridges that allow policy and theory to meet practice and engage in thoughtful work about how we can best serve our students. Although we all want our students to have the skills they need to succeed, we are not cranking out machines solely trained for business, but should be working to develop humane and thoughtful citizens ready to participate in the democratic process. Teachers know what we need to succeed, just ask us.